Every fall, the mountain town of Carbondale transforms into a yoga and wellness destination, set to the sound of different spiritual musicians. In September, True Nature Healing Arts holds its annual Sacred Fest, a community gathering featuring Kirtans (call-and-answer chants) and other live music; a Wellness Village with massage, acupuncture, face-painting and more; and healthy, organic food made on site. The family-friendly, sober event is open to anyone looking for an excuse to indulge in health and community. The Kirtans themselves are centered around wellness, says Eaden Shantay, co-founder of True Nature. "There's a science to the chants," Shantay says. "It impacts the palate of the mouth and meridians in the body, as well as the hypothalamus and limbic system. The science of chants impacts whole body through rhythmic breathing and the moving of the mouth, as well as intention behind the chants. They are all meant to bring people into a state of bliss." True Nature, open year-round seven days a week not far from the popular ski town of Aspen, is known for coordinating holistic, healthy activities. In fact, the facility regularly organizes wellness excursions for travelers. True Nature is full-scale a wellness destination. "We have people come in from all over the country and beyond. Fortunately, the valley and Aspen attract people from all over the world," Shantay says. The property designs personal retreats of varying lengths (from a half day to several days), complete with yoga, spa treatments and healthy food packaged together to deeply rejuvenate the body, mind and spirit. 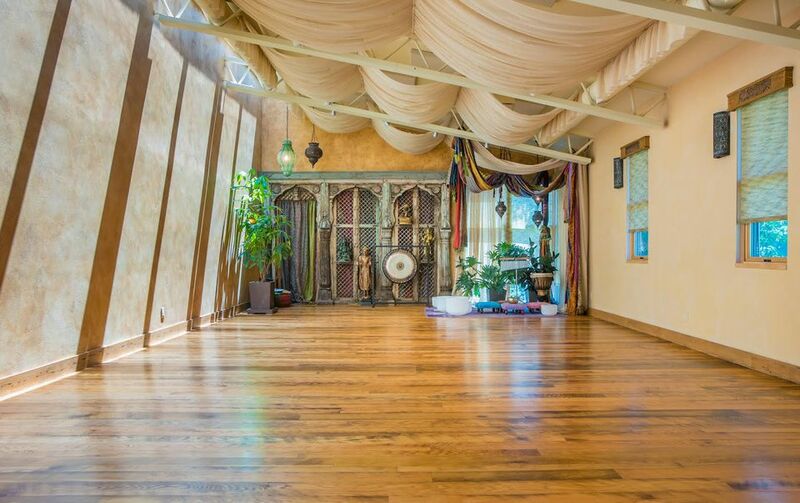 True Nature opened in 2007 and offers yoga, workshops, a spa featuring massage and about 25 different treatments, a reflexology pathway and a peace garden. The boutique sells art, books, organic and sustainable clothes and inspirational tools, such as crystals. "It's a space to support people who want to go deeper into the meaning and purpose of their lives," Shantay says. From the moment you walk through the doors, visitors are often amazed by the level of careful detail put into every aspect of the environment. A feng shui expert helped arrange the flow, and much of the furniture are antiques imported from Afghanistan, Pakistan, India, Kashmir and Morocco. This ancient flavor mixes beautifully with the contemporary, clean aesthetic. On the grounds, visitors can sip cold-pressed vegetable juice or tea from about 25 different loose leaf organic teas, with a spread of raw chocolate. True Nature's production kitchen, located a few blocks away, makes a full line of vegan and raw food. Even though it doesn't offer lodging on site, it recommends various options nearby that guests can cater to their preference, whether that's a B&B or private vacation-rental property. Many guests choose to stay at the Avalanche Hot Springs, about 15 minutes away, or the newer luxury property, the Marble Distilling Co. and The Distillery Inn. Five to 10 minutes in any direction, Carbondale has ample hiking, skiing, mountain biking and cross-country skiing. The key to planning the best wellness trip is communication, Shatay says. "Speak with us about what the guest really wants to learn or support. Some might have injuries, some may want to make life changes," Shantay says. Yoga teaches balance and alignment, not just physically but on all levels, Shantay says. "People may be out of alignment in their relationships or social realm or work realm or with the way they're spending their time," Shantay says. "We support people in making the changes they need so they can feel better and have more contentment because they're in greater alignment with their deepest desires and passions."